Work started soon after 8am with time spent on final preparations for the day. Three sermons, written late in the week, needed reading through. I suppose you could call it a working breakfast! The first two services of the day were in two of the five churches that I have responsibility for. 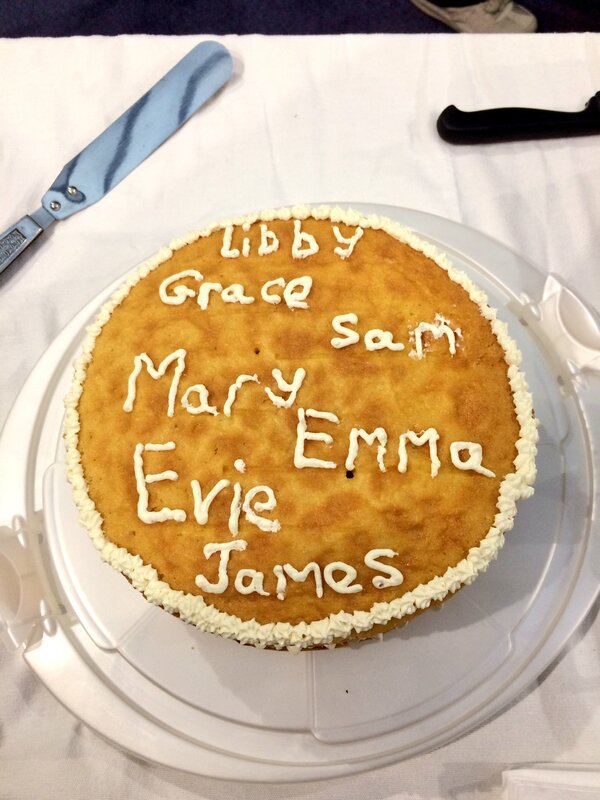 ……… St. James Church was full for Lilly Isabelle Anne Smith’s baptism at 9.30am, (early doors!) Because our clergy have a good number of things to do on Sunday and, perhaps more importantly, because Baptism is about becoming a member of Jesus’ family the church, we have our baptisms as part of our usual church services. At St. James the baptism took place in a service of Holy Communion. The reading from Isaiah (25: 6-9) led me to think and talk about how the sharing together of food is one of the most important ways in which we acknowledge the importance of our relationships. 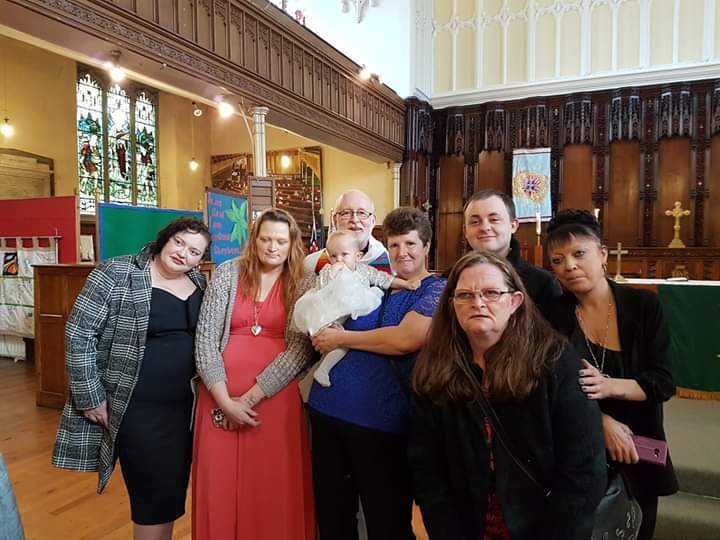 At St. Peter’s Church at 11.00am we baptised Elizabeth Leavy. I baptised her older brother a few years back. We welcome all the newly baptised into our church families. St. Peter’s is increasingly seeing visitors from other countries many of whom are seeking asylum in the UK. Some stay with us over many months either until they are moved elsewhere by our government, or their cases are decided. We seek where we can to support people through the asylum process and we are about to set up a drop-in centre in partnership with the Red Cross. 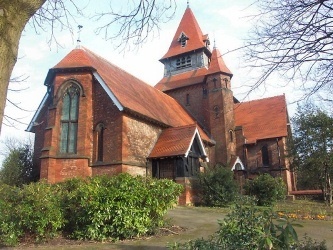 By 12.15pm it was time to dash to St. Michael’s Church, the civic church in Ashton. 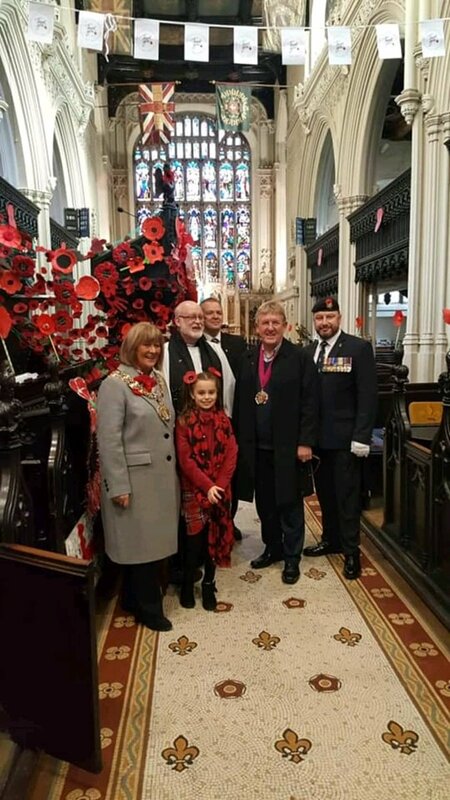 A number of community organisations and schools have worked with the Ashton Branch of the British Legion to create a poppy wall in church for the period from 3rd November to 12th November. 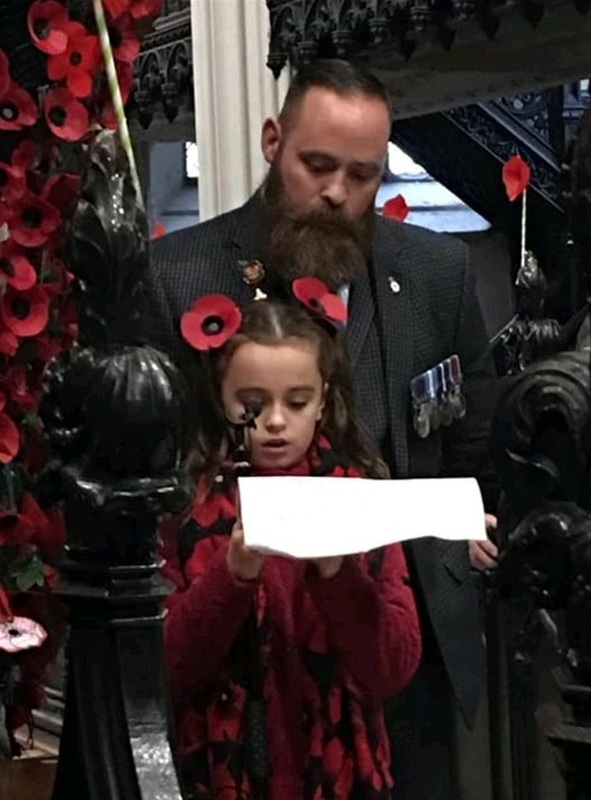 Standards were processed, the poppy wall was dedicated and we had time to remember and give thanks, as part of the Legion’s ‘Thank You’ Campaign, for all who have worked for the betterment of society during and after the first world war. 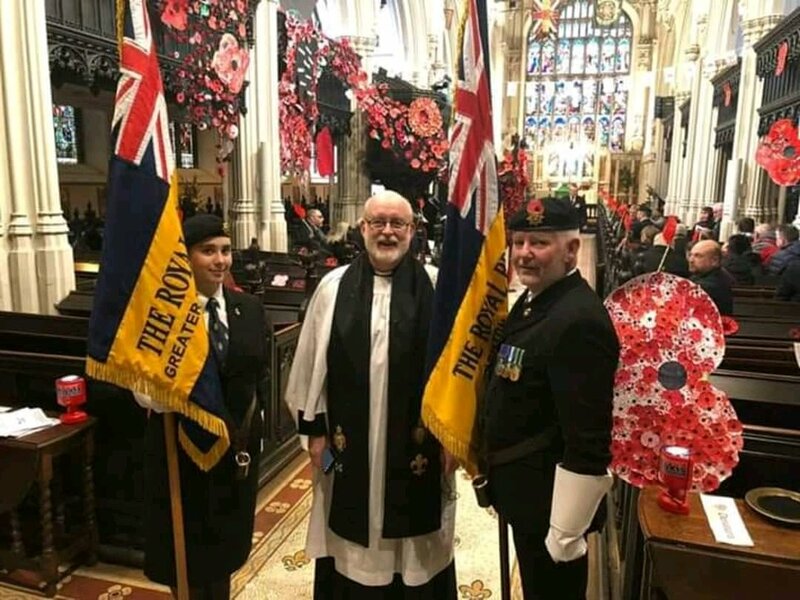 I have the privilege of being Padre for the local branch of the Royal British legion and so am honoured to take services such as these. By now, the day was just getting going! …. 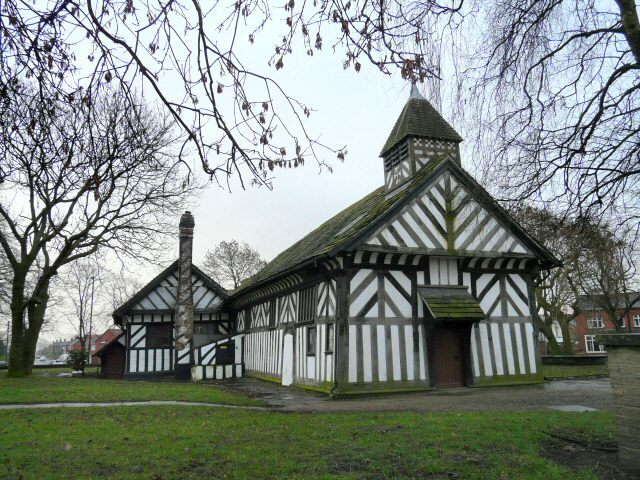 A close colleague has just moved on from our Parish – the Parish of the Good Shepherd, Ashton-under-Lyne. … Jules Mambu has served as a curate in the parish since he chose to move from the Roman Catholic Church to the Anglican Church. I have know Jules for 15 years. He was a refugee from the Democratic Republic of Congo, having served there as a Catholic priest and having discovered that being a faithful priest put him at odds with the government of the day. Jules left the Congo after serving time in prison after challenging the policies of the government of the country. 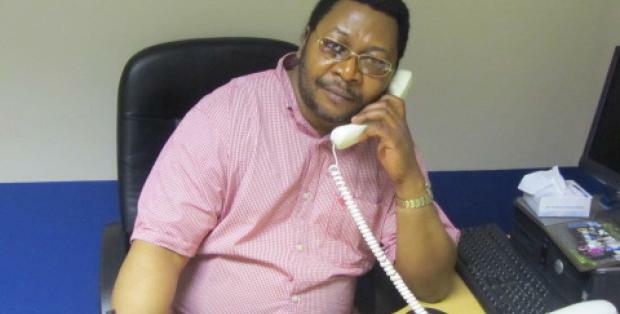 Part of Jules’ ministry, over the past 15 years or so, has been to lead Tameside African Refugee Association (TARA) based in Ashton-under-Lyne. 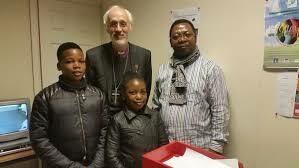 Discernment of God’s plan for his life has led him into the Anglican church and to move on from TARA. Jules now is licensed as Priest-in-Charge of St. Lawrence, Denton and will soon take on responsibility for St. Ann, Haughton as well. Both in Denton, both in Ashton Deanery, and both in Manchester Diocese. 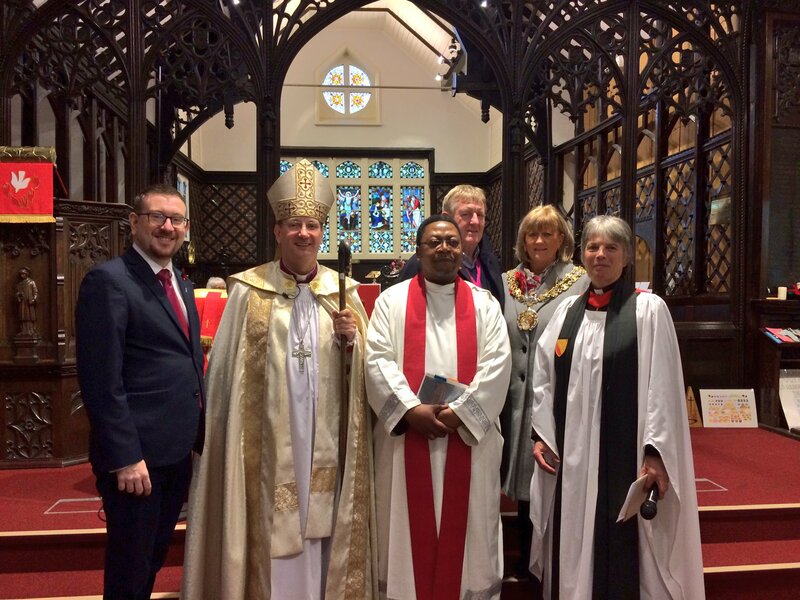 The licensing service at St. Lawrence’s was led by Bishop Mark Davies and Archdeacon Cherry Vann. Jules’ move to Denton leaves us (The Parish of the Good Shepherd) one member of clergy down. 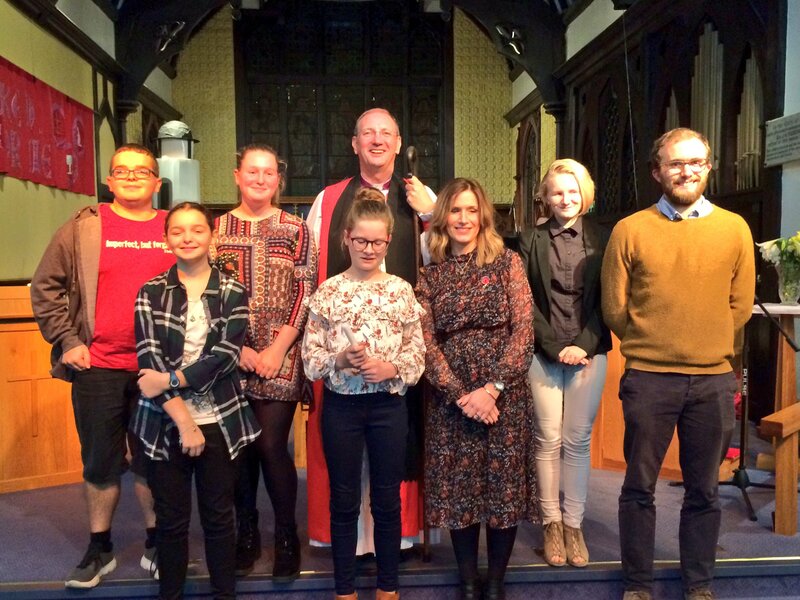 We wish Jules every blessing in his ongoing ministry in this new place and we pray for ourselves that we will revive additional resources for ministry in the centreof Ashton-under- Lyne. The church buildings which will fall within Jules’miniustry role ar e both really interesting structures! Jules’ installation and licensing were followed by a Confirmation Service at which the Parish of the Good Shepherd presented two candidates for Confirmation. It was a real joy over the past few weeks to be able to do Confirmation preparation with Emma and Evie. A day in the llfe of a Manchester Diocese Clergy person! 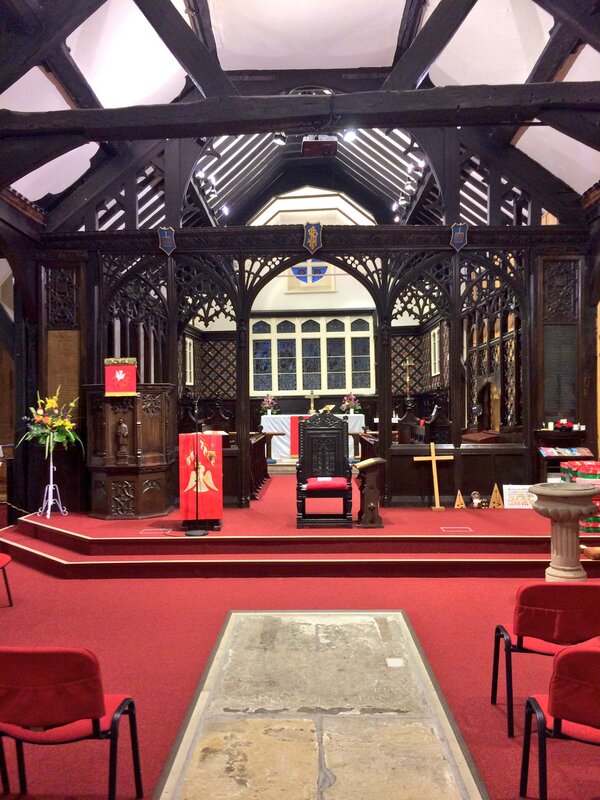 This entry was posted in Ashton-under-Lyne Blog, Comment on November 6, 2018 by rogerfarnworth.